Prime Minister, Narendra Modi, unveiled a 60-feet tall statue of a great Jat leader, Sir Chotu Ram, and spoken high of the pre-Independence day leader of farmers. Sir Chotu Ram had mobilised the people, peasants, to emerge as beneficiaries of many development projects, the Bhakra Nagal dam in particular that made Punjab and Haryana as frontline agricultural states. Of course, the PM also said on the occasion that the government raised the MSP twice and this showed his government’s concern for farmer’s welfare. No doubt about that. You see agriculture is a very basic industry; it touches the lives of people at many levels. 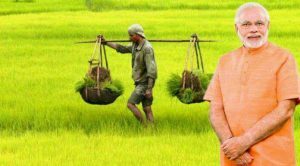 The non-farmers, the poor and the weaker sections, in the villages in particular are dependent upon agriculture for their livelihood, for various reasons. And remember, agriculture is Indian economy’s backbone. All this and much more we all know, those of us who live in the cities and also those who managed to live in Delhi and run the government, both the political netas as well as the bureaucratic machine. There was a time when the agricultural leaders went to Delhi; they were treated in a condescending manner. But days seem to have hanged, these days farmers’ marches to Delhi have frequented much more and they, the farmers and their leaders have also become a frustrated lot and they no more believe any of the government assurances. So, they learnt to march towards the PM’s residence itself! And also much more to the good side of the government that the second time rise in the MSP was announced on the eve of the farmers pledging to march further from Ghaziabad towards the Lyton’s zone and hence before dawn the government announced the MSP rise and bought peace! So, the days are changing for the farming community. Also, the farm scene is also changing faster. The urbanisation, the migration to cities, the migrant labour from UP and Bihar to states like Gujarat saw recently an exodus and likewise, there are likely to be new types of state level resistance to outside labour. Or, there can be utterly unexpected acceptance and even open demand for labour from other states. In sum, the Indian agriculture is likely to become modernised, let us hope so, new technologies have already penetrated the Indian agricultural scene. Everyday new machines, new tools for various agriculture functions are entering the sector and also agriculture in some pockets in each state are suited to year-round farming, specially the vegetables and fruits and also agri incomes are becoming regular. Yet, it is a sad feature even now there are tragedies and farmers suicides take place even in some rich parts like the sugarcane belt of Mandya in Karnataka for instance and of course there is the unending news of former’s suicides in Maharashtra and even in the PM’s backyard, Gujarat! So, these developments, signs of prosperity on the one side and sign of tragedy on the other side characterises the Indian agriculture. And also, one more point here we want to highlight. The choice of ministers for the agri portfolio. Any agriculture minister of India and his deputies must be seen as travelling ministers. They must be seen in all the states. Unfortunately, while Mr.Modi is energetic and active, the same can’t be said about some of his colleagues.Many are unsuited to the portfolios they hold right now, even after four and half years of the present regime. We don’t want to name them, nor the portfolios; in particular, the agri ministers are not senas active and hey say many things that are not sympathetic to the farmer’s causes. Farm debt is notoriously difficult to tackle. This requires a genius, if not a more gifted individual or individuals. The BJP government is seen as a party with a paucity of talents. If we can say so, it is not a sin if we seek a competent person even from outside the party. Next to farm debts, is the litigation sin of the farming community? Our various land legislations, tenacy, land ceiling laws etc are now seen as totally outdated and proving to be the hell for progressive farmers, farmer investors. 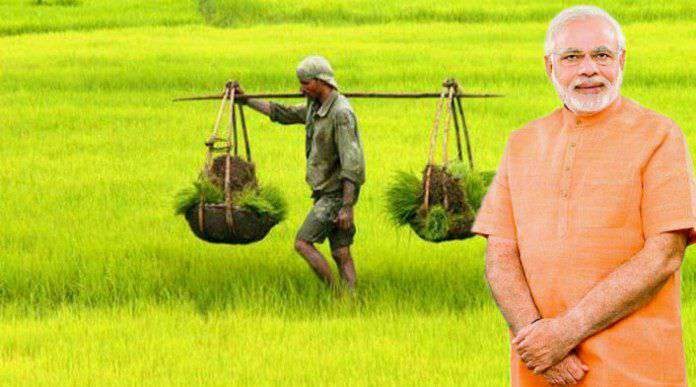 Do, we welcome the model land reform legislation laws as propounded by the NITI AAYOG and we would urge the PM to give a go-by to give legislative shape even before the 2019 elections. Let the PM enter into a village, one in the North and one in the South and personally test for himself what we say here. We need liberalisation of the land reform laws. Some we can write-ff. Who wants to live in the village and undergo all the negative features of village life? If any young man leaves his village and travels to Bangalore for instance, he or she can earn a very decent income, for sure. So too the other youngsters from the North East we see in other states. They can be seen even in remote places, in the wayside hotels as service hands. They all seem to be happy. So, we can draw a policy towards enabling the interstate labour migration. For instance, the Odisha government has constructed an Odisha House in Bangalore to help students and youngsters from the state. Similar state houses can be built so that there can be easy interstate migration and also the solution to unemployment and easy migration. For an energetic agri minister or officials there are unlimited work at the Krishi Bhavan! Let us energise the agri sector with new enthusiasm. Minister, please move out of your comfort zones in the capital! 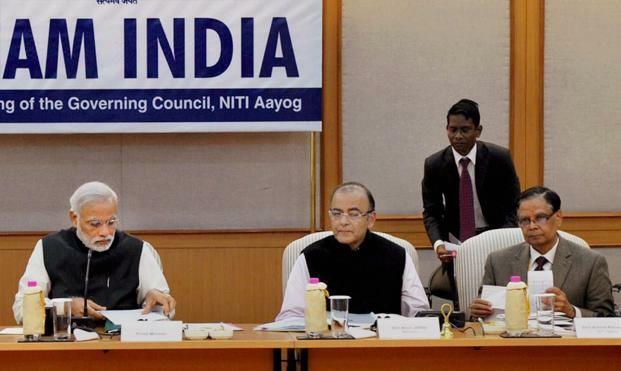 What the NITI Aayog has achieved? Yes, there are some radical new departures! One critical area is agriculture where the outdated old style repressive tenancy laws had hindered agri potential. NITI Aayog is now the only fresh feature of the Modi regime’s innovation, a think-tank with some of the bright minds working there. We can name names, some of them very bright, some very open-minded. We congratulate them. This basic truth is held back from open mention for fear of being labelled as anti-progressive and anti left. Even such learned experts like Prof.Amartya Sen had failed to say openly why his own beloved state of Bengal had turned into a backward economy and social sector. If you travel from Kolkata to Santiniketan, Prof.Sen’s own place, you would be so shocked that all through the 100 and odd miles of drive there is not one decent tea shop, let alone other facilities to realise that you are on the way to modern day hell! Yes, why even after so many of his years on this route that Sen laments on the fall of CPI (M), not on others, for the present state of affairs in Bengal. Prof.Sen is known supporter of the Left-front government who for the past 35 odd years had taken such a resources-endowed state into the darkness and degeneration. Why even in education and health Bengal is so appallingly a state that you can see masses of Bengali patients waiting outside the Apollo hospital in Chennai! The horror-filled stories of mass deaths of new-children in Kolkata hospitals are still afresh in memory. For having spent years in Bengal, in Santiniketan we write with firsthand experience. 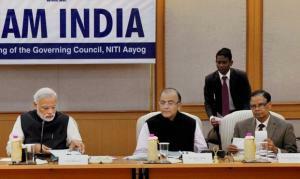 Now, the newly created NITI Aayog, the redesigned of the old style Planning Commission is an ego trip or really fulfilling its new promises? We have only a sketchy idea of really what the new agency has done. We saw the debate between Prof.Sen and the Aayog chairman, Rajiv Kumar titled: ‘Challenge thrown: prove it: challenge accepted’. Yes, Kumar cited enough evidence to show that India has done well in terms of the many promises made by the Modi government and yet, with all his innate skills for argument, proved that when compared with India’s neighbours on similar growth path, India has still to catch up with Bangladesh, Sri Lanka and other countries in terms of infant mortality etc. Debate apart, we at the agri media are really surprised to go through the new model legislation on tenancy reform. We are not sure how far the model legislation drawn up by the planning agency is really a radical departure from the dogmatic Left oriented tenancy protection act that did protect the lazy and the anti-social elements but that didn’t lead to any inch of productivity in farming operations nor the old style so-called progressive legislations lead to farming into a thriving business. The point here is that NITI Aayog had done a pioneering service by radically recasting the legislation in a far manner to make the farming, first of al viable. Pay a rent and do the farming. If you can’t do farming please leave the farming for others who might be taking over the job. New investments in farming calls for incentives to invest in such risky areas like farming. One way to encourage youth to remain in the villages is to encourage entrepreneurship and only by making land holding easy of complex and complicated maze of land legislations in various states in one key obstacle for viable farming enterprises. We had featured the model land legislation in some of our recent issues. Thereby, second, you would make the land productive. It won’t be lying fallow as it is happening in many places. In TN also there is this regressive land laws that helped the highly corrupt Dravidian parties to let is strongmen, the goondas to land grab as a highly profitable politics! In neighbouring Karnataka too the land legislation since the days of Devaraj Urs reduced farmers into paupers. There must also be a vision for progressive consolidation of land holdings, now it is the further divisions of land holding, so unviable and no politicians worth their salt to come out openly and say what was ailing the land-owing class. There are one or two minor issues. The very naming of the agency, as in many other similar cases is very misleading. Too many acronyms-infested schemes are too confusing and too misleading. Commission, setting agendas and targets. If handled deftly, the idea is still relevant and we need not be come so dogmatic in the current era of open societies. The Atal innovation labs are welcome and so too the new other names like Monitoring and Evaluation Office. Of course there are other improvements. The old, scandal -ridden Medical Council is replaced. Changes are inevitable and changes are always welcome. Socially conscious veteran journalist elected Deputy Chair of the Rajya Sabha! Let us hope socially conscious media values get due recognition! Today, standards in public life are declining. We can see even the once-much rated Parliament proceedings are falling in substance and gravitas. Many major bills, why, even the budget is passed without debates and serious deliberations. There are many other things like foreign funds to the political parties are passed, almost in the midst of din and disruptions and everyone feels elated that all political parties stand to share the infamy and the funds received by fair and foul means gets okay within a minute, as if no one noticed what was happening. There is a prevailing fear and a sense of threat to the lives of the journalists. Two or more journalists in the TV news industry had resigned or thrown out of employment for reasons everyone knows. Now, comes the latest news. That the Prime Minister Mr.Narendra Modi’s rather “unparliamentarily language” was deleted from the proceedings of the Rajya Sabha. That in itself is a major victory for the Parliament’s dignity and weight. So, there are now mixed signals for the state of the press, media and free debate. In this environment that Mr.Harivansh, a veteran Socialist editor and journalist who was close the late Jayaprakash Narayan and also to the other veteran ,the late Prime Minister Mr. Chandra Shekhar has been elected from the JD(U) to the high position of the Deputy Chairman of the Rajya Sabha. Let us hope and even urge the veteran to see the media industry and its vast growth and also some distortions that had crept in Vadamalai Media wishes the new Deputy Chairman all success from a section of the media landscape that we occupy in the much undervalued agriculture and the rural media front. 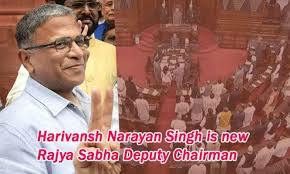 A Progressive media man at the helm of the Rajya Sabha Rajya Sabha now has a new Deputy Chairman, namely, the JD(U)Mp Harivansh, a non-Congress man, a Socialist in the mould of Jayaprakash Narayan and Chandra Shekhar, the former Prime Minister. This is a happy news for various reasons. One, the Prime Minister took a different decision this time, he gave up the post to a non-BJP candidate. And that to Mr.Nitish Kumar’s party and also to a candidate who carries lots of credibility and also stature to a post that was always seen as a prerogative of the Congress party. Of course, the media screamed as if the heavens had fallen and the Congress under Rahul Gandhi once again lost and the BJP won in a very convincing manner. Nothing of the sorts happened. The Congress was of course was marked by dithering, there was much slowness and there were divided loyalties in the Congress ranks. In fact, this was seen as a diminishing capabilities of Sonia Gandhi who, without any serious introspection, is going on with her past mistaken path. The Congress party is carrying even now a heavy baggage of old hands, all the tired faces are retained by Sonia Gandhi, no other younger and newer faces are seen at play. Why not Rahul Gandhi or his young lieutenants take the initiative to contact Mr.Naveen Patnaik or Shiva Sena or why not Mr.Sharad Pawar didn’t speak to Sonia and field a Maratha candidate so that the Shiva Sena can be brought around? As observers have noted that the Congress this time could have won this seat and only if they had not acted in their past manner. We are sorry to note that the Congress heavyweights of today are split persons, their minds are not there is their task, they are part time politicians and part time earners in their respective professions. Of course, the Congress party found learn to think in radical lines, please drop the obsessions with dynasty. The fruits of labour wont come so easily as in the past. Now, the point we want to highlight is that Mr. Harinash must do everything in his domain top bring credibility to the free press and free media in the time of so much anxiety from his own brood. Free press is at stake. Yes, Indian press and media is fairly free when we compares around the world. And, luckily, India doesn’t suffer any odium of pressmen arrested and put in prison etc. a plight we see in many other parts of world. That means Indian democracy is fairly tolerant for dissent and criticism. But lately, there is some disturbing trend. Some journalists from the TV segment have lost their jobs and also the censorship is visible. Of course, it is not the domain of the Rajya Sabha Deputy Chairman to reform the media industry. Yet, considering the prestige of the office into which Harivansh is trusted he can really play some role. A healthy political environment must be created! Why Press and media freedom is misunderstood? Many things on the loose when it comes to public awareness? Why then the Supreme Court asks the government whether the Election Commission can deny tickets to criminals? Parliament is doing its work? SC in a dilemma? EC so weak? Press must report, explain and educate the public! The Indian media scene is neither optimistic nor confident! A great pity. It looks as if not many know that corruption and criminality in our politics and public life are the two great hindrances to an open society politics. After four years of Modi regime there are many great issues that are defying solution. We haven’t been able to nominate a Lok Pal while everyone knows this was a promise made many years ago. 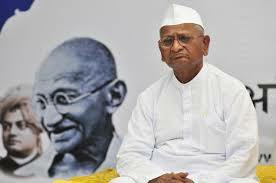 Anna Hazare after his famous hunger strike, now seems to be tired of the demand and he had become quieter. Poor soul! What more an individual however much one is committed to ideals can do in the present political culture which is vitiated by such high hypocrisy and so much cynicism for values. ruling regime or regimes didn’t care for all the high optimism that must be informing the public. Anyway, the latest debates in the Supreme Court about banning the criminals in the legislatures show that we are becoming more and more insensitive to these issues. Supreme Court has been told by the Government that not to make too many adverse observations of the government policies in the PILs. 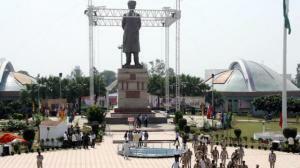 In fact, the issues are becoming too unbearable by more violence, series of communal clashes, pubic lynching’s etc. Violence is bad. Who says so? None! What a shame! The high and mighty must be saying: adhere to law and order. The courts are also held to ransom, it seems. Why the large pendency of cases in all the courts? Why doesn’t the PM and his colleagues, all well-merited no doubt can’t take speedy steps to fill up the large vacancies in the courts? There are very many other issues of high importance like the functioning of agencies like CHI,ED and others where a very distinct impression has gained ground they are used to take revenge upon Opposition leaders? There is widespread fear in the media and also in the judiciary itself. So, press freedom, media freedom, independent function of the organs of public opinion all seem suppressed, there are various events that prove this impression. No one man can rule the country, even in the USA as the vast disappointment upon the US President Doland Trump. Mr.A.G.Sulzberger, the publisher of the New York Times met the President and after the President complained of the Fake News doing damage etc, the New York Times owner within two hours came out with his tweet: I told the President directly that I thought his language was not just divisive but increasingly dangerous”. How many in India ,in the media, in the press and in the TV media can dare to say this to our Prime Minister? So, democracy just means something else. The Courts must be free to say that the criminals in the legislatures is a shame and they must be barred from entering the Houses. In fact, the issues are becoming much more grim. Parliament must function with full force and must adhere to norms, the House Chairmen powers must be enhanced and also the conduct of our legislators must be monitored more seriously. The many scames, like the 2G,can be avoided only if we deliberate more serious on a range of reforms from the political parties, political funding and the quality of the peoples’ representatives! For all this to be possible there must be unfettered press freedom and also other freedoms! Only great minds can contribute and for this you have to have a vast tolerance of dissent. Opposition also must conduct its jobs with great responsibility. Parties must desist from building family dynasties. The meaning and significance of freedoms in a democracy must be debated widely in universities to public platforms. Fearless independent intellectuals must speak out. Civil Society, NGOs must be allowed, why encouraged and the PM and Opposition leaders must participate, must give more press interviews and a healthy and mature political environment must be created.